It's time to have shiny, shiny hair! Having a bad day with loose, frizzy, static hair? 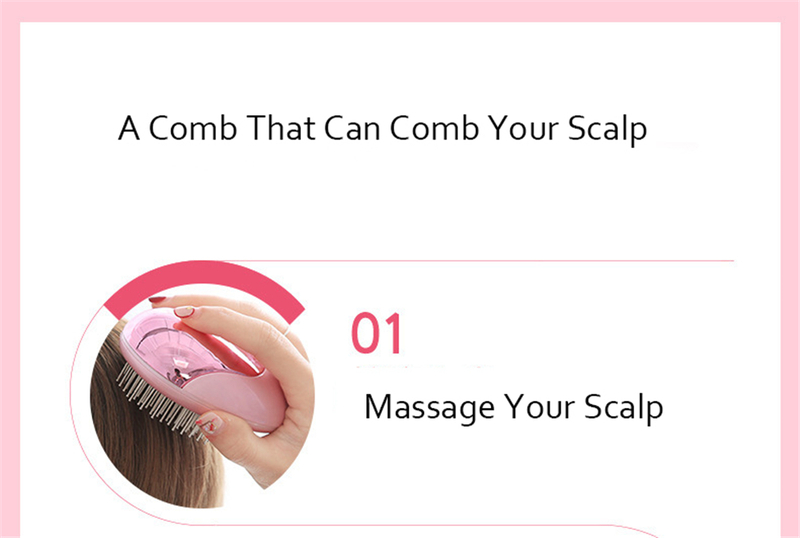 It's time to balance your hair's ions with this electric ionic brush. Constant brushing and drying of the towel can remove negative ions from your hair and that's where it's used. This comb emits negative ions into your hair to restore the ion balance and make your hair shiny, soft, frizz-free and manageable. Negative ions are activated by heat, so the ionic comb is powered by electricity. IONS GENERATOR: Straightening brush with double Ionic generator releases more negative ionic to reduce split ends and knotting. It gives your hair a smooth, silky, natural lustrous look, rather than a flat burnt look. Very speedy delivery. Item as described. Good purchase!